In selecting a type of all-ceramic, E.Max is the preference for E.Max crowns and E.Max bridges and full contour porcelain crowns because of its highly attractive esthetic qualities. E.Max crowns and E.Max bridges are fabricated from lithium disilicate ceramic known for its durability, flexural strength, biocompatibility and opaque qualities. When fabricating E.Max bridges, E.Max crowns and full contour porcelain crowns, there is the assurance of excellent esthetic results, as well as a metal-free base that prevents gingival tissue irritation, gum recession and darkening gingival lines. E.Max bridges are also less prone to allergic reaction. 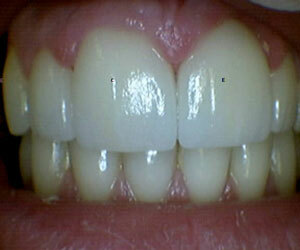 We use latest state-of-the-art technology in producing high-quality restorations. Our E.Max bridges, E.Max crowns and full contour porcelain crowns are metal free, and provide high flexural strength and durability, as well as beautiful flawless esthetics. We can provide information about the benefits of the IPS e.max® all-ceramic system that can significantly change the lives of patients and dental health professionals with metal-free E.Max bridges, E.Max crowns and full contour porcelain crowns. Full contour porcelain crowns are frequently recommended for restoration work of both upper and lower front teeth. 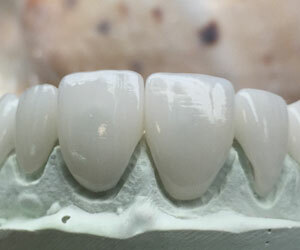 Monolithic crowns or full contour porcelain crowns provide an excellent fit and high flexural strength. IPS E.Max is considered to be the most versatile and chip resistant option available in the market for full contour porcelain crowns. It also provides exceptional esthetics. We are capable of fabricating E.Max full contour porcelain crowns and E.Max bridges in our dental laboratories using our CAD/CAM system.